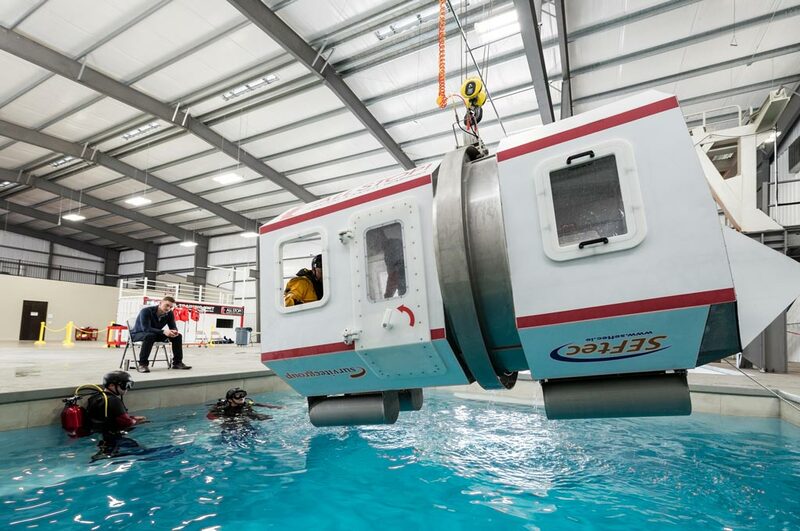 The OPITO-approved Further Offshore Emergency Training program with Compressed Air Emergency Breathing System (CA-EBS) is a 1-day course which must be undertaken by individuals who have a valid BOSIET (with CA-EBS), BOSIET(with EBS), TBOSIET, FOET (with CA-EBS), FOET(with EBS) or TFOET certificate. The FOET (with CA-EBS) certificate re-validates a delegate’s offshore emergency training for a further 4 years. Please Note: Due to the physical demands of the course, it is the responsibility of the employer and participant to pre-determine the participant’s ability to safely attend the course.